Jeevitha Rajasekhar and Hema have joined the YSRCP. Elections being close, many actors are foraying into politics. 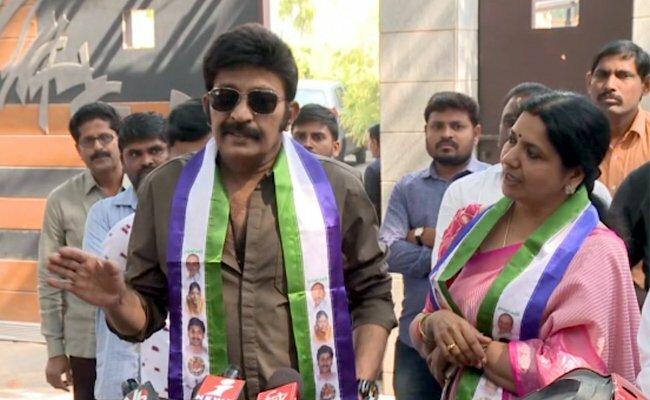 Jeevitha Rajasekhar and her husband Rajasekhar have been a part of Congress and TDP. Also recently they have had a war of words with YS Jagan as well. Despite this they have joined YSRCP. Rajasekar couple said that all differences with YS Jagan has been solved now, hence they have joined YSRCP. Also the others who joined YSRCP today include Hema, anchor Shyamala and her husband Narasimha Reddy.